In 1994 Benthake & Seibert introduced their version of the Mercedes-Benz SK series tractor with trailer in 1/87 scale. 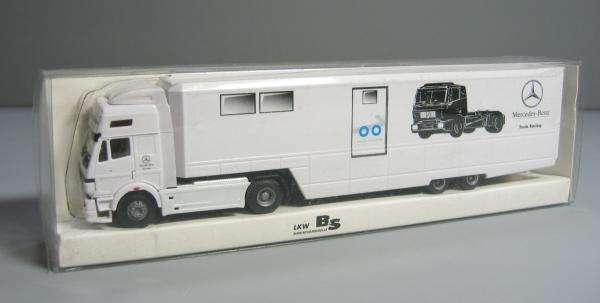 Besides the tilting cab also done by other manufacturers the B&S models had several features not available elsewhere; opening doors, opening roof hatch and rims with open air vents. The box trailer models had opening rear doors with very small hinges which were hidden inside the sidepanel of the trailer and worked by means of a tiny metal pin. Production of the models has stopped, but several trailer moulds have been sold to Herpa. 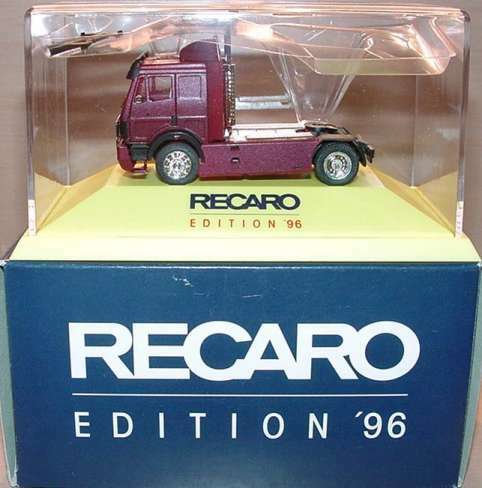 500009 Mercedes-Benz SK '94 tractor ? ? 800301 Conversion set for tractor ?